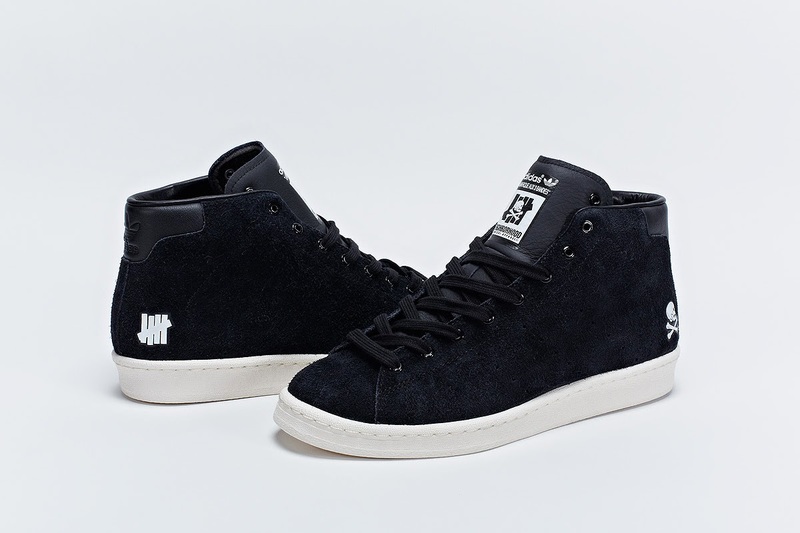 Undefeated's fashion-forward athletic approach is perfectly translated through the choice of two very different shoe models, the Micropacer and Official Mid 80s, whilst Neighborhood’s premium-cut nature and use of bold graphics is reflected on the uppers. 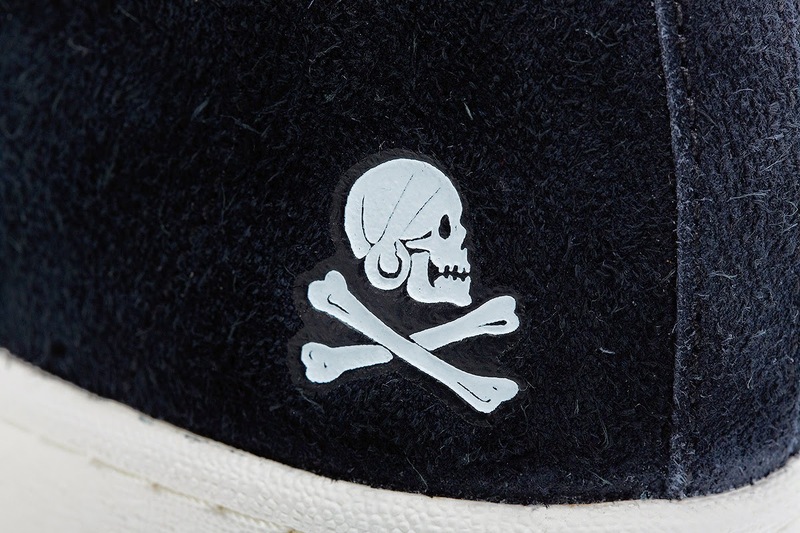 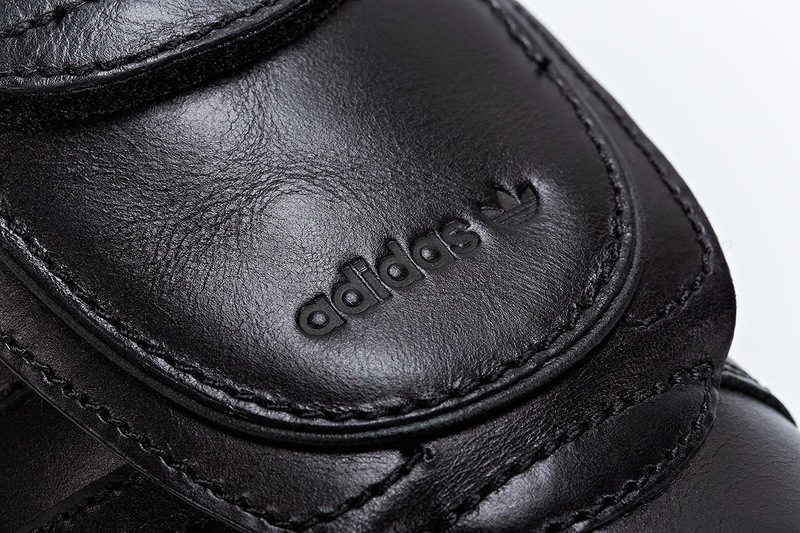 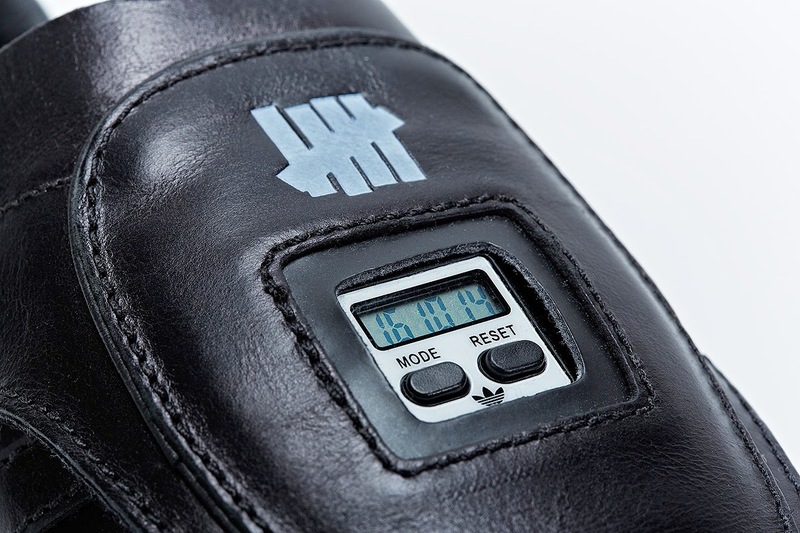 Amidst the bridle leather and full nap suede lies a bold triple branding, showcasing Undefeated’’s iconic Five -Strike logo and Neighborhood’s skull and crossbones motif within a tongue label that pays homage to the vintage years of adidas France. 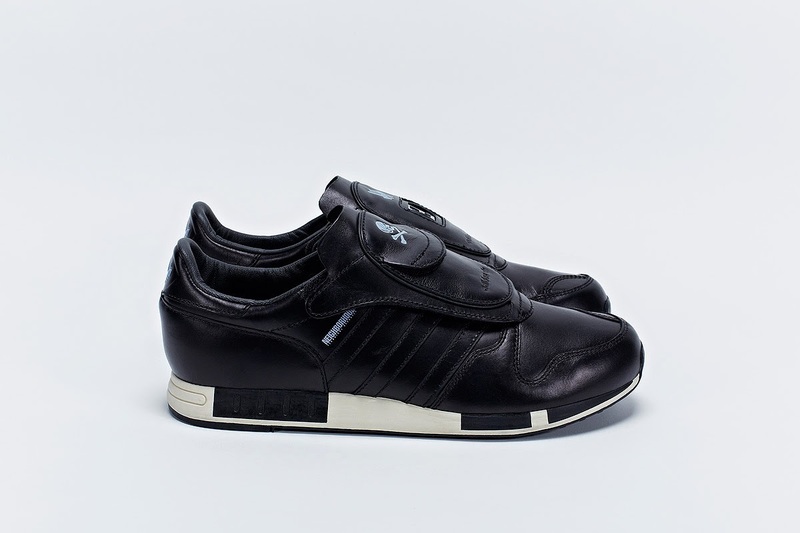 On its initial release 30 years ago, the Micropacer was a shoe of wonder, technologically pushing the boundaries with a microcomputer concealed in the tongue. 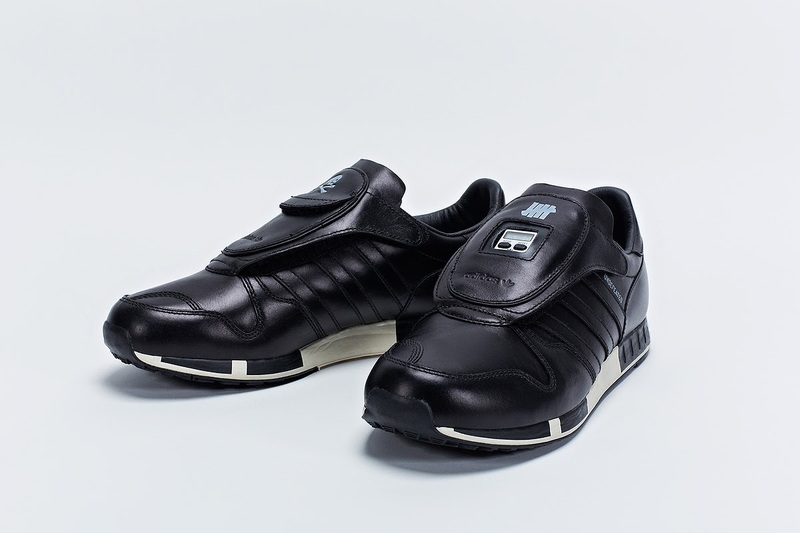 For Consortium, Undefeated selected the shoe for its relevance today - the vintage space-age runner now serving the fashion consumer. 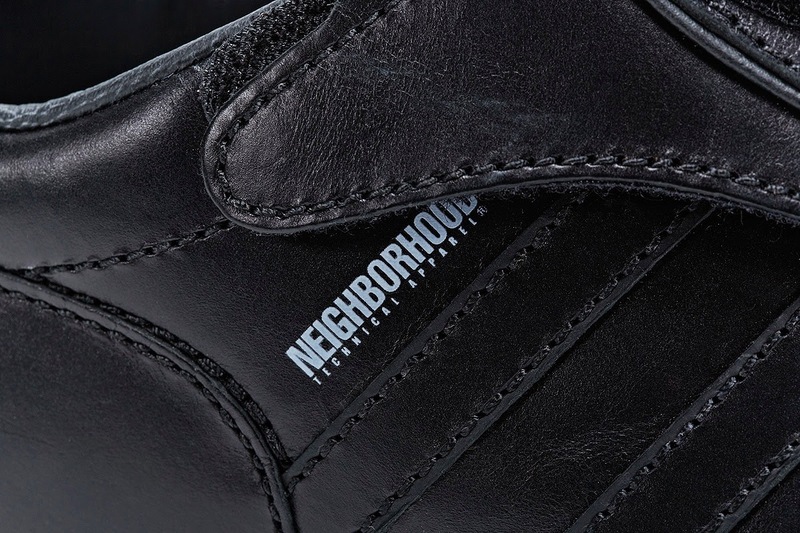 The all-over black is indicative of both Undefeated and Neighborhood’s tastes, preferring to make a statement with materials and graphics. 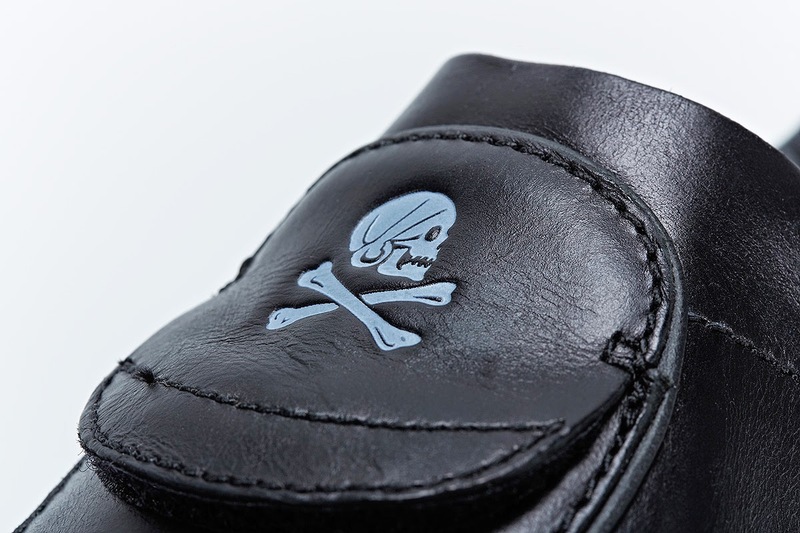 Neighborhood took reign of the graphic touches, such as placement of each brand’s logo, and chose to use premium full leather on the upper and smooth leather lining for the luxurious feel that the brand so often references. 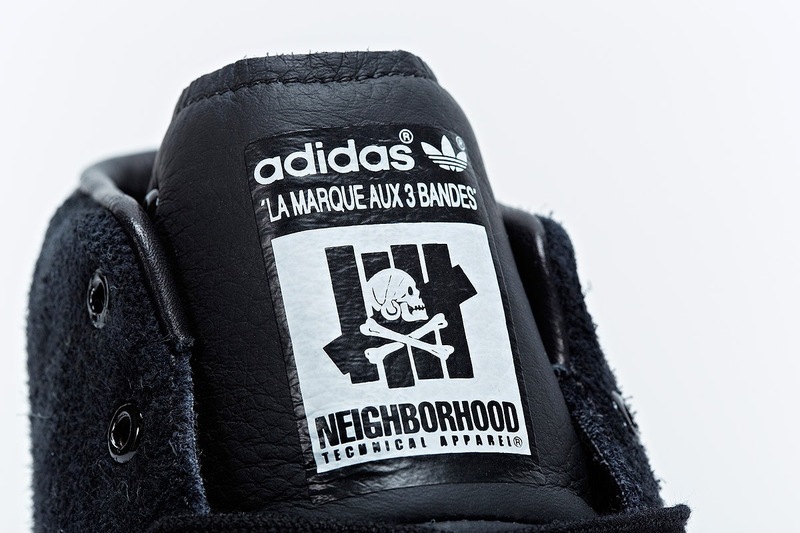 Influential streetwear labels Undefeated and Neighborhood aligned to work on the adidas Official Mid 80s model, with each brand bringing what they do best to the table. 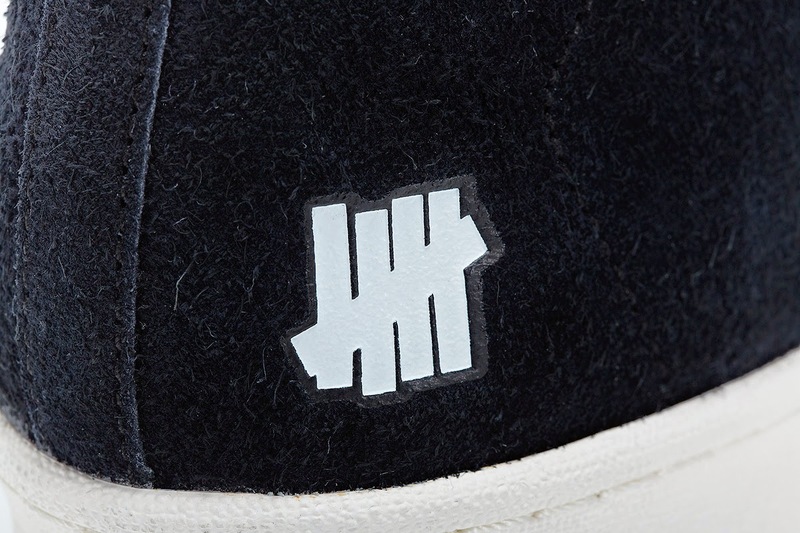 Undefeated led the design concept and chose the clean and smart silhouette to complement Neighborhood’s sensibilities, whilst Neighborhood worked on the material and graphic executions. 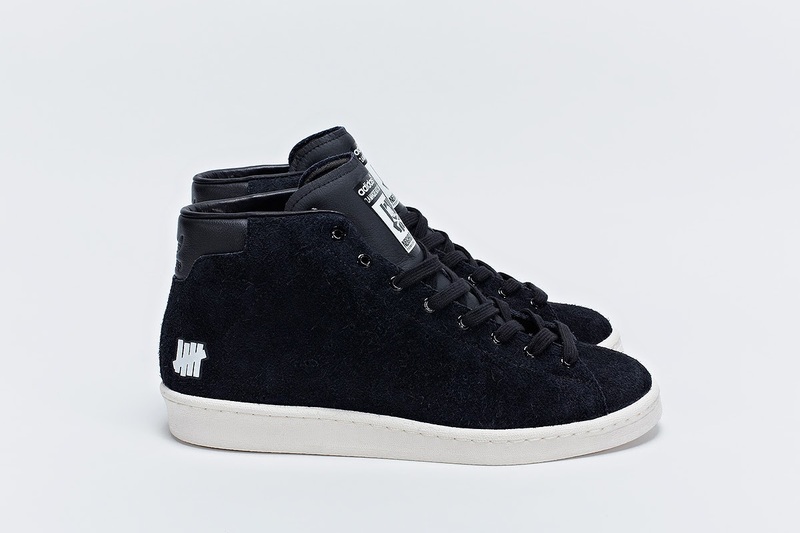 Executed with a long-haired suede upper, soft leather on the tongue and heel, and smooth leather lining, Neighborhood’s material choice is bold with a premium feel. 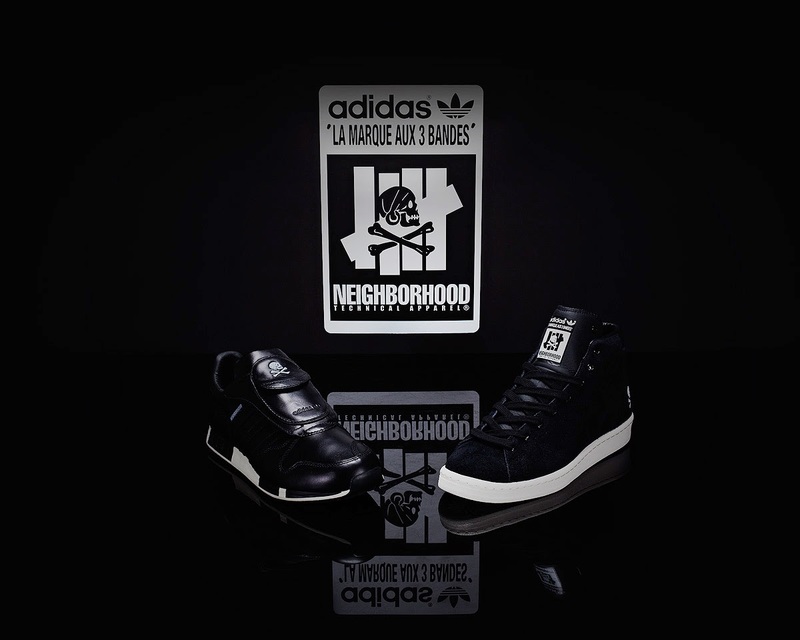 The mostly black shoes also feature white Undefeated and Neighborhood branding, along with adidas’s French sign-off ‘La marque aux 3 bandes’; an ode to the heritage of adidas.